The purpose of this essay is to discuss and celebrate the life and work of one of the great creative minds of our century. Ludwig von Mises was born on September 29, 1881, in the city of Lemberg (now Lvov), in Galicia, in the Austro-Hungarian Empire. His father, Arthur Edler von Mises, a Viennese construction engineer working for the Austrian railroads, was stationed in Lemberg at the time. Ludwig’s mother, Adele Landau, also came from a prominent family in Vienna: her uncle, Dr. Joachim Landau, was a deputy from the Liberal Party in the Austrian Parliament. It was my intense interest in historical knowledge that enabled me to perceive readily the inadequacy of German historicism. It did not deal with scientific problems, but with the glorification and justification of Prussian policies and Prussian authoritarian government. The German universities were state institutions and the instructors were civil servants. The professors were aware of this civil-service status, that is, they saw themselves as servants of the Prussian king. Despite his chafing at the statism and Prussianism of the Historical School, Mises had not yet discovered economic theory, the Austrian School, and the economic liberalism of the free market. In his early years at the university, he was a left-liberal and interventionist, although he quickly rejected Marxism. He joined the university-affiliated Association for Education in the Social Sciences, and plunged into applied economic reform. In his third year at the university Mises did research on housing conditions under Professor Eugen von Philippovich, and the following semester, for a seminar on Criminal Law, did research on changes in the law on domestic servants. From his detailed studies, Mises began to realize that reform laws only succeeded in being counterproductive, and that all improvements in the condition of the workers had come about through the operations of capitalism. 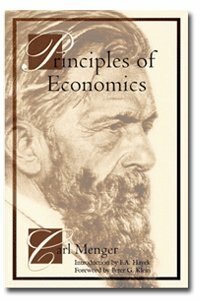 Around Christmas 1903 Mises discovered the Austrian school of economics by reading Carl Menger’s great Principles of Economics, and thus began to see that there was a world of positive economic theory and free-market liberalism that complemented his empirical discoveries on the weaknesses of interventionist reform. Mises’s doctorate was in the Faculty of Laws at the University and so for several years after 1906 he clerked at a series of civil, commercial, and criminal courts, and became an associate at a law firm. In addition, preparing himself for a teaching career, Mises began to teach economics, constitutional law, and administration to the senior class of the Vienna Commercial Academy for Women, a position which he held until the completion of his first great book in 1912. For the most part, however, he plunged into applied economic work. One job, beginning in 1909, was as an economist at the Central Association for Housing Reform. Mises became the Association’s expert on real estate taxation, discovering that the abysmal housing conditions in Austria were brought about by high tax rates on corporations and capital gains. Mises advocated lowering these taxes, particularly the high taxes on real estate, which, he pointed out, would not so much reduce rents as it would raise the market value of real estate and thereby stimulate housing investment. Mises was successful in pushing through a substantial reduction in housing taxes. He continued at this post until 1914, when the war brought housing construction to an end. Mises’s major post, from 1909 until he left Austria twenty-five years later, was a full-time job as economist at the Vienna Chamber of Commerce. In Austria the Chambers of Commerce were akin to “economic parliaments,” created by the government, with delegates elected by businessmen and financed by taxation. The Chambers were formed to give economic advice to the government, and the center of power was its General Assembly, consisting of delegates from the various local and provincial Chambers, and with the committees of that Assembly. The experts advising the Chambers and the General Assembly were gathered in the offices of the secretaries to the various Chambers. By the turn of the twentieth century, economists working in the secretary’s office of the Vienna Chamber (the preeminent of the various Chambers) had become important economic advisers to the government. By the end of World War I, Mises, operating from his quasi-independent position at the Chamber, became the principal economic adviser to the government, and, as we shall see below, won a number of battles on behalf of free markets and sound money. In 1903, the influential monetary economist Karl Helfferich, in his work on Money, laid down a challenge to the Austrian School. He pointed out correctly that the great Austrians, Menger, Böhm-Bawerk, and their followers, despite their prowess in analyzing the market and the value of goods and services (what we would now call “micro-economics”), had not managed to solve the problem of money. Marginal utility theory had not been extended to the value of money, which had continued, as under the English classical economists, to be kept in a “macro” box strictly separate from utility, value, and relative prices. Even the best monetary analysis, as in Ricardo, the Currency School, and Irving Fisher in the United States, had been developed in terms of “price levels,” “velocities,” and other aggregates completely ungrounded in any micro analysis of the actions of individuals. In particular, the extension of Austrian analysis to money faced a seemingly insuperable obstacle, the “problem of the Austrian circle.” The problem was this: for directly consumable goods the utility and therefore the demand for a product can be arrived at clearly. The consumer sees the product, evaluates it, and ranks it on his value scale. These utilities to consumers interact to form a market demand. Market supply is determined by the expected demand, and the two interact to determine market price. But a particular problem is posed by the utility of, and the demand for, money. For money is demanded on the market, and held in one’s cash balance, not for its own sake but solely for present or future purchases of other goods. The distinctive nature of money is that it is not consumed, but only used as a medium of exchange to facilitate exchanges on the market. Money, therefore, is only demanded on the market because it has a pre-existing purchasing-power, or value or price on the market. For all consumer goods and services, therefore, value and demand logically precede and determine price. But the value of money, while determined by demand, also precedes it; in fact, a demand for money presupposes that money already has a value and price. A causal explanation of the value of money seems to founder in unavoidable circular reasoning. In 1906, his doctorate out of the way, Mises determined to take up the Helfferich challenge, apply marginal utility theory to money, and solve the problem of the Austrian circle. He devoted a great deal of effort to both empirical and theoretical studies of monetary problems. The first fruits of this study were three scholarly articles, two in German journals and one in the English Economic Journal in 190809, on foreign exchange controls and the gold standard in Austria-Hungary. In the course of writing these articles, Mises became convinced that, contrary to prevailing opinion, monetary inflation was the cause of balance of payments deficits instead of the other way round, and that bank credit should not be “elastic” to fulfill the alleged needs of trade. Mises’s article on the gold standard proved highly controversial. He called for a de jure return in Austria-Hungary to gold redemption as a logical conclusion of the existing de facto policy of redeemability. In addition to running up against advocates of inflation, lower interest rates, and lower exchange rates, Mises was surprised to face ferocious opposition by the central bank, the Austro-Hungarian Bank. In fact, the Bank’s Vice-President hinted at a bribe to soften Mises’s position. A few years later, Mises was informed by Böhm-Bawerk, then Minister of Finance, of the reason for the vehemence of the Bank’s opposition to his proposal for a legal gold standard. Legal redemption in gold would probably deprive the Bank of the right to invest funds in foreign currencies. But the Bank had long used proceeds from these investments to amass a secret and illegal slush fund, from which to pay subventions to its own officials, as well as to influential journalists and politicians. The Bank was keen on retaining the slush fund, and so it was fitting that Mises’s most militant opponent was the publisher of an economic periodical who was himself a recipient of Bank subsidies. Mises came to a decision, which he pursued for the rest of his career in Austria, not to reveal such corruption on the part of his enemies, and to confine himself to rebutting fallacious doctrine without revealing their sources. But in taking this noble and self-abnegating position, by acting as if his opponents were all worthy men and objective scholars, it might be argued that Mises was legitimating them and granting them far higher stature in the public debate than they deserved. Perhaps, if the public had been informed of the corruption that almost always accompanies government intervention, the activities of the statists and inflationists might have been desanctified, and Mises’s heroic and lifelong struggle against statism might have been more successful. In short, perhaps a one-two punch was needed: refuting the economic fallacies of Mises’s statist enemies, and also showing the public their self-interested stake in government privilege. His preliminary research out of the way, Mises embarked, in 1909, on his first monumental work, published in 1912 as Theorie des Geldes and der Umlaufsmittel (The Theory of Money and Credit). It was a remarkable achievement, because for the first time, the micro/macro split that had begun in English classical economics with Ricardo was now healed. At long last, economics was whole, an integral science based on a logical, step-by-step analysis of individual human action. Money was fully integrated into an analysis of individual action and of the market economy. By basing his analysis on individual action, Mises was able to show the deep fallacies of the orthodox mechanistic Anglo-American quantity theory and of Irving Fisher’s “equation of exchange.” An increase in the quantity of money does not mechanically yield a proportional increase in a non-existent “price level,” without affecting relative utilities or prices. Instead, an increase lowers the purchasing power of the money unit, but does so by inevitably changing relative incomes and prices. Micro and macro are inextricably commingled. Hence, by focusing on individual action, on choice and demand for money, Mises not only was able to integrate the theory of money with the Austrian theory of value and price; he transformed monetary theory from an unrealistic and distorted concentration on mechanistic relations between aggregates, to one consistent with the theory of individual choice. 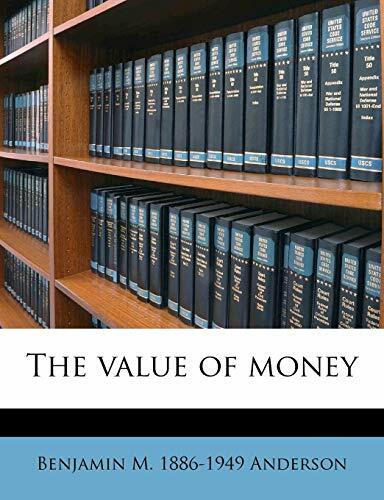 Moreover, Mises revived the critical monetary insight of Ricardo and the British Currency School of the first half of the nineteenth century: that while money is a commodity subject to the supply-and-demand determination of value of any other commodity, it differs in one crucial aspect. Other things being equal, an increase in the supply of consumer goods confers a social benefit by raising living standards. But money, in contrast, has only one function: to exchange, now or at some time in the future, for capital or consumer goods. Money is not eaten or used as are consumer goods, nor used up in production as are capital goods. An increase in the quantity of money only serves to dilute the exchange effectiveness of each franc or dollar; it confers no social benefit whatever. In fact, the reason why the government and its controlled banking system tend to keep inflating the money supply, is precisely because the increase is not granted to everyone equally. Instead, the nodal point of initial increase is the government itself and its central bank; other early receivers of the new money are favored new borrowers from the banks, contractors to the government, and government bureaucrats themselves. These early receivers of the new money, Mises pointed out, benefit at the expense of those down the line of the chain, or ripple effect, who get the new money last, or of people on fixed incomes who never receive the new influx of money. In a profound sense, then, monetary inflation is a hidden form of taxation or redistribution of wealth, to the government and its favored groups and from the rest of the population. Mises’s conclusion, then, is that, once there is enough of a supply of a commodity to be established on the market as money, there is no need ever to increase the supply of money. This means that any supply of money whatever is “optimal”; and every change in the supply of money stimulated by government can only be pernicious. Mises built on an important insight of the Czech economic Franz Cuhel, a student at Böhm-Bawerk’s graduate seminar, that since marginal utility was strictly subjective to each individual, it was purely an ordinal ranking, and could in no sense be added, subtracted, or measured, and a fortiori could not be compared between persons. Mises developed this theme to demonstrate that therefore the very concept of “total utility” makes no sense at all, particularly as an integral of marginal utilities. Instead, the utility of a larger batch of a good is simply another marginal utility of a larger unit. Thus, if we take the utility to the consumer of a carton of a dozen eggs, it is impermissible to make this utility some sort of a “total utility,” in some mathematical relation to the “marginal utility of one egg.” Instead, we are merely dealing with marginal utilities of different-sized units. In one case a dozen-egg package, in the other case of one egg. The only thing we can say about the two marginal utilities is that the marginal utility of a dozen eggs is worth more than one egg. Period. Mises’s correction of his mentors was consistent with the fundamental Austrian methodology of focusing always on the real actions of individuals, and allowing no drift into relying on mechanistic aggregates. If the Cuhel-Mises insight had been absorbed into the mainstream of utility theory, economics would have been spared, on the one hand, the tossing out of marginal utility altogether in the late 1930s as hopelessly cardinal, in favor of indifference curves and marginal rates of substitution; and, on the other, the current absurd micro-textbook discussions of “utils,” nonexistent entities subject to measurement and mathematical manipulation. What of the famous problem of the Austrian circle? Mises solved that in one of his most important, and yet most neglected, contributions to economics: the Regression Theorem. Mises built on Menger’s logical-historical account of the origin of money out of barter, and demonstrated logically that money can only originate in that way. In doing so, he solved the problem of the circular explanation of the utility of money. Specifically, the problem of the circle is that, at any given time, say DayN, the value (purchasing-power) of money on that Day is determined by two entities: the Supply of MoneyN and the Demand for MoneyN  which itself depends on a pre-existing Purchasing Power on DayN-1. Mises broke out of this circle precisely by understanding and grasping the time dimension of the problem. For the circle on any given day is broken by the fact that the Demand for Money on that day is dependent on a previous day’s purchasing power, and hence on a previous day’s demand for money. But haven’t we broken out of the circle only to land ourselves in an infinite regress backwards in time, with each day’s purchasing power resting on today’s demand for money, in turn dependent on the previous day’s purchasing power, in turn determined by the previous day’s demand, etc.? It is no help to escape circular reasoning only to land in a regress of causes that can never be closed. But the brilliance of Mises’s solution is that the logical regress backward in time is not infinite: it closes precisely at the point in time when money is a useful non-monetary commodity in a system of barter. In short, say that Day1 is the first moment that a commodity is used as a medium of indirect exchange (to simplify: as a “money”), while the previous Day0 is the last day that commodity, say gold, was used only as a direct good in a system of barter. In that case, the causal chain of any day’s value of money, say DayN, goes back logically in time, to Day1, and then goes back to Day0. In short, the demand for gold on Day1 depends on the purchasing power of gold on Day0. But then the regress backward stops, since the Demand for Gold on Day0 consists only of its direct value in consumption, and hence does not include a historical component, i.e., the existence of prices for gold on the previous day, Day1. In addition to closing the determinants of the value or purchasing power of money and thereby solving the Austrian circle, Mises’s demonstration showed that, unlike other goods, the determinants of the value of money include an important historical dimension. The Regression Theorem also shows that money, in any society, can only become established by a market process emerging from barter. Money cannot be established by a social contract, by government imposition, or by artificial schemes proposed by economists. Money can only emerge, “organically” so to speak, out of the market. Comprehension of Mises’s Regression Theorem would spare us numerous impossible schemes, some proffered by Austrians or quasi-Austrians, to create new moneys or currency units out of thin air: such as F.A. Hayek’s proposed “ducat,” or plans to separate units of account from media of exchange. In addition to his feat in integrating the theory of money with general economics and placing it on the micro-foundations of individual action, Mises, in Money and Credit, transformed the existing analysis of banking. Returning to the Ricardian-Currency School tradition, he demonstrated that they were correct in wishing to abolish inflationary fractional-reserve credit. Mises distinguished two separate kinds of functions undertaken by banks: channeling savings into productive credit (“commodity credit”), and acting as a money-warehouse in holding cash for safekeeping. Both are legitimate and non-inflationary functions; the trouble comes when the money-warehouses issue and lend out phony warehouse receipts (notes or demand deposits) to cash that does not exist in the bank’s vaults (“fiduciary credit”). These “uncovered” demand liabilities issued by the banks expand the money supply and generate the problems of inflation. Mises therefore favored the Currency School approach of 100% specie reserves to demand liabilities. He pointed out that Peel’s Act of 1844, established in England on Currency School principles, failed and discredited its authors by applying 100% reserves only to bank notes, and not realizing that demand deposits were also surrogates for cash and therefore functioned as part of the money supply. Mises wrote his book at a time when much of the economics profession was still not sure that demand deposits constituted part of the money supply. Not wishing to trust government to enforce 100% reserves, however, Mises advocated totally free banking as a means of approaching that ideal. Money and Credit demonstrated that the major force coordinating and promoting bank credit inflation was each nation’s central bank, which centralized reserves, bailed out banks in trouble, and made sure that all banks inflated together. Eight years before C.A. Phillips’s famous demonstration, Money and Credit showed that an individual bank enjoyed very little room to expand credit. But this is not all. For Mises began, on the foundations of his theory of money and banking, to develop what was to become his famous theory of the business cycle  the only such theory integrated with general micro-economics and built on the foundations of the analysis of individual action. These rudiments were further developed in the second edition of Money and Credit in 1924. In the first place, Mises was brilliantly able to identify the process as essentially the same: (a) one bank’s expanding credit, soon leading to a contraction and demand for redemption; and (b) all banks in the nation, guided by a central bank, expanding money and credit together and thereby gaining more time for a Hume-Ricardo specie-flow price mechanism to develop. Thus credit and the money supply expand, incomes and prices rise, gold flows out of the country (i.e., a balance of payments deficit), and a resulting collapse of credit and the banks, force a contraction of money and prices, and a reverse specie flow into the county. Not only did Mises see that these two processes were basically the same; he was also the first to see that here was a rudimentary model of a boom-bust cycle, created and driven by monetary factors, specifically expansion and later contraction of “created” bank credit. 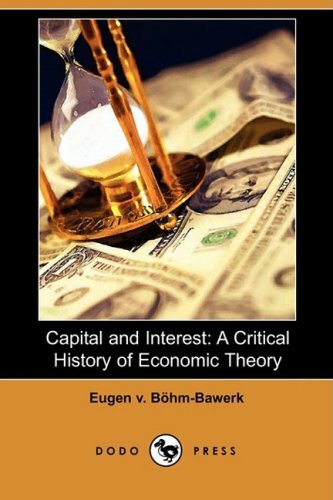 During the 1920s, Mises formulated his business cycle theory out of three pre-existing elements: the Currency School boom-bust model of the business cycle; the Swedish “Austrian” Knut Wicksell’s differentiation between the “natural” and the bank interest rates; and Böhm-Bawerkian capital and interest theory. Mises’s remarkable integration of these previously totally separate analyses showed that inflationary or created bank credit, by pumping in more money into the economy and by lowering interest rates on business loans below the free market, time preference level, inevitably caused an excess of malinvestments in capital goods industries remote from the consumer. The longer the boom of inflationary bank credit continues, the greater the scope of malinvestments in capital goods, and the greater the need for liquidation of these unsound investments. When the credit expansion stops, reverses, or even significantly slows down, the malinvestments are revealed. Mises demonstrated that the recession, far from being a strange, unexplainable aberration to be combated, is really a necessary process by which the market economy liquidates the unsound investments of the boom, and returns to the right consumption/investment proportions to satisfy consumers in the most efficient way. Thus, in contrast to interventionists and statists who believe that the government must intervene to combat the recession process caused by the inner workings of free-market capitalism, Mises demonstrated precisely the opposite: that the government must keep its hands off the recession, so that the recession process can quickly eliminate the distortions imposed by the government-created inflationary boom. If I could have worked quietly and taken my time, I would have begun with a theory of direct exchange in the first volume; and then I could proceed to the theory of indirect exchange. But I actually began with indirect exchange, because I believed that I did not have much time; I knew that we were on the eve of a great war and I wanted to complete my book before the war’s outbreak. It was only in the 1940s, with Nationalökonomie (1940) [PDF], and its greatly expanded English edition, his masterwork, Human Action (1949), that Ludwig von Mises was able to complete his grand reconstruction and culmination of economic theory. According to him [Böhm], the old doctrine was correct “in principle” and maintains its full significance for an analysis aimed at “purely economic action.” In real life there is resistance and friction which cause the result to deviate from that arrived at theoretically. I tried in vain to convince Böhm-Bawerk of the inadmissability of the use of metaphors borrowed from mechanics. With Böhm-Bawerk and his fellow Austrians uncomprehendingly rejecting Mises’s “praxeological” as opposed to positivist approach (that is, his realization that every step of deductive theory has to be true in order to avoid injecting ineradicable error and falsehood into the theory), and spurning his integrating of monetary into general theory, disdained by Schmollerites and positivists alike, Ludwig von Mises set out uncomplainingly on the lonely path of carving out a new “neo-Austrian” school of economic thought. 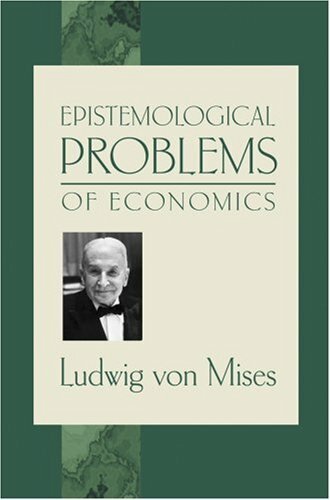 Agree with him or not, Ludwig von Mises was clearly a major innovative economist, surely worthy of an academic post at the University of Vienna. True, that as a result of Money and Credit, Mises was appointed in 1913 to a post as professor at the University. But it was only to the unpaid, if prestigious, post of privatdozent. While Mises gave lectures and a highly successful weekly seminar at the University for the next two decades, he never achieved a paid university post, and therefore had to continue full-time as economist for the Chamber of Commerce, and as the major economic adviser to the country. He still did not have the leisure to pursue unimpeded his brilliantly creative work in economic theory. Mises’s career, along with many others, was interrupted for the four years of World War I. After three years at the front as an artillery officer, Mises spent the last year of the war in the economics division of the War Department, where he was able to write journal articles on foreign trade, and in opposition to inflation, and to publish Nation, Staat und Wirtschaft (Nation, State, and Economy, 1919) on behalf of ethnic and cultural freedom for all minorities. The question of academic posts was then faced fully after the end of the war. The University of Vienna conferred three paid professorships in economics: before the war, they were filled by Böhm-Bawerk, his brother-in-law Friedrich von Wieser, and Eugen von Philippovich. Böhm died tragically shortly after the outbreak of the war, Philippovich retired before the war, and Wieser followed soon after the war was over. The first vacancy went to Mises’s old teacher Carl Grünberg, but Grünberg went off to a chair at Frankfort in the early 1920s. This left three vacancies at Vienna, and it was generally assumed that Mises would get one of them. Certainly by any academic standards, he richly deserved it. Grünberg’s chair went to another historian, Count Ferdinand Degenfeld-Schönburg, a “complete nonentity” (Fritz Machlup), whose only qualifications for the position were his title of nobility and his “disfiguring war injuries.” But what of the other two posts, both slated for theorists, succeeding Wieser and Böhm-Bawerk? Despite his innovations not being accepted by orthodox Austrians, Mises was clearly the outstanding bearer of the great Austrian tradition. Known as an excellent teacher, his seminal journal article in 1920 on the impossibility of economic calculation under socialism was the most important theoretical critique ever leveled at socialism. Not only that: it was so recognized by socialists all over the Continent, who labored  unsuccessfully  for nearly two decades to try to refute Mises’s challenging criticism. But Mises was never chosen for a paid academic post; indeed he was passed over four times. Instead, the two theoretical chairs went (a) to Othmar Spann, a German-trained Austrian organicist sociologist, barely cognizant of economics, who was to become one of Austria’s most prominent fascist theoreticians, and (b) to Hans Mayer, Wieser’s handpicked successor, who, despite his contributions to Austrian utility theory, was scarcely in the same league as Mises. Mayer, furthermore, strongly disapproved of Mises’s laissez-faire liberal conclusions. The University of Vienna professoriate, before the war the envy of Europe, began to take on the dimensions of a zoo, as Spann and Mayer intrigued against each other, and against Mises, who as a privatdozent, was low man on the academic totem pole. Mayer would openly humiliate Spann to students, and systematically slam the door in Spann’s face if they were both entering a room. Spann, for his part, increasingly anti-Semitic in a developing anti-Semitic milieu, denounced appointments of Jewish academics in secret faculty meetings, and also castigated Mayer for backing such appointments. Mayer, on the other hand, managed to adapt easily to the Nazi assumption of power in Austria in 1938, leading the faculty in ostentatious devotion to the Nazi cause. Mayer, in fact, informed the Nazis that Spann was insufficiently pro-Nazi, and Spann was arrested and tortured by the Nazis in consequence. In this fetid atmosphere, it is no wonder that Mises reports that Spann and Mayer discriminated against his students, who were forced to audit Mises’s seminar without registering, and “also made it very difficult for those doctoral candidates in the social sciences who wanted to write their theses with me; and those who sought to qualify for a university lectureship had to be careful not to be known as my students.” Students who registered for Mises’s seminar without registering for the seminar of one of his rivals, were not allowed to use the economics department library; but Mises triumphantly notes that his own library at the Chamber of Commerce was “incomparably better” than that of the economics department, so this restriction, at least, caused his students no hardship. The value of money Benjamin M. 1886-1949 ... Check Amazon for Pricing. While Mises’s ideas and reputation, if not his academic post, as well as his writings, enjoyed a growing influence in Austria and the rest of Europe in the 1920s, his influence in the English-speaking world was greatly limited by the fact that Money and Credit was not translated until 1934. The American economist Benjamin M. Anderson, Jr., in his The Value of Money (1917) was the first English-speaking writer to appreciate Mises’s work, and the remainder of his Anglo-American influence had to wait for the early 1930s. 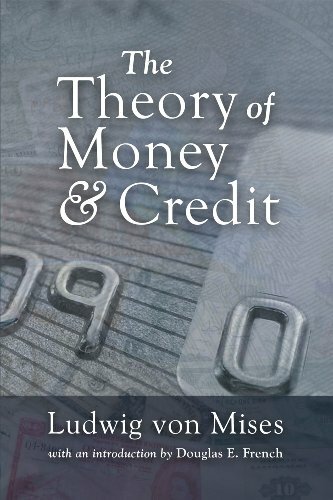 Money and Credit could have been far more influential had it not received a belittling and totally uncomprehending review from the brilliant young economist John Maynard Keynes, then an editor of the leading British scholarly economic periodical, the Economic Journal. Keynes wrote that the book had “considerable merit,” that it was “enlightened in the highest degree possible” (whatever that may mean), that the author was “widely read,” but that in the end Keynes was disappointed because it was not “constructive” or “original.” Now whatever may be thought about The Theory of Money and Credit, it was highly constructive and systematic, and almost blazingly original, and so Keynes’s reaction is puzzling indeed. The puzzle was cleared up, however, a decade and a half later, when, in his Treatise on Money, Keynes wrote that “In German, I can only clearly understand what I already know  so that new ideas are apt to be veiled from me by the difficulties of the language.” The breath-taking arrogance, the sheer gall of reviewing a book in a language in which he could not grasp new ideas, and then denouncing the book for containing nothing new was all too characteristic of Keynes. Hungary was not the only government to go Bolshevik temporarily in the tragic and chaotic aftermath of World War I. Amidst the turmoil of defeat, many countries of central and eastern Europe were inspired and tempted to follow the example of the Bolshevik Revolution in Russia. Parts of Germany went Bolshevik for a time, and Germany only escaped this fate because of the turn to the Right of the Social Democratic Party, previously committed to a Marxist revolution. It was similarly touch and go in the new, truncated little country of Austria, still suffering from the Allied food blockade during the tragic winter of 191819. The Marxist Social Democratic party, led by the brilliant “Austro-Marxist” theoretician Otto Bauer, headed the Austrian government. In a profound sense, the fate of Austria rested with Otto Bauer. Bauer, son of a wealthy North Bohemian manufacturer, was converted to Marxism by his high school teacher, and dedicated his life to never flagging in zeal for the radical Marxist cause. He was determined never to abandon that cause to any form of revisionism or opportunism as so many Marxists had done in the past (and would continue to do in the future). Bauer enlisted in Böhm-Bawerk’s great seminar determined to use the knowledge he would gain to write the definitive Marxian refutation of Böhm’s famous demolition of the Marxian labor theory of value. In the course of the seminar, Bauer and Mises became close friends. Bauer eventually abandoned the attempt, virtually admitting to Mises that the labor theory of value was indeed untenable. 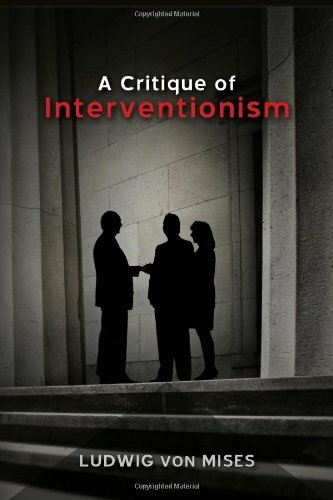 Critique of Interventi... Ludwig von Mises Check Amazon for Pricing. Everyone was so convinced of the inevitability of the coming of Bolshevism that they were intent merely on securing for themselves a favorable position in the new order. The Catholic Church and its followers, the Christian Social Party, were ready to welcome Bolshevism with the same ardor that archbishops and bishops twenty years later welcomed Nazism. Bank directors and big industrialists hoped to earn a good living as “managers” under Bolshevism. In the thankless task of opposing cheap money and inflation, and calling for a balanced budget and a cessation of all increases of bank notes, Mises was aided by his friend Wilhelm Rosenberg, a former student of Carl Menger and a noted attorney and financial expert. It was because of Mises and Rosenberg that Austria did not go the whole way of the disastrous runaway inflation that would ravage Germany in 1923. Yet Mises and Rosenberg only succeeded in slowing down and delaying the effects of inflation rather than eliminating it. Due to their heroic efforts, the Austrian crown was stabilized in 1922 at the enormously depreciated  but not yet runaway  rate of 14,400 paper crowns to one gold crown. Yet, Mises writes, their “victory came too late,” The destructive consequences of inflation continued, capital was consumed by inflation and welfare state programs, and the banking collapse finally arrived in 1931, postponed by Mises’s efforts for ten years. In order to pursue their unwavering battle against inflation, Mises and Rosenberg sought political allies, and managed to secure the reluctant support of the Christian-Social Party, in particular of its leader Father Ignaz Seipel. Before Seipel agreed to stabilize the crown in 1922, Mises and Rosenberg warned him that every stoppage of inflation results in a “stabilization recession,” and that he must be prepared to undergo the gripes of the public when the inevitable recession occurred. Unfortunately, the party put its financial affairs into the hands of the attorney Gottfried Kunwald, a corruptionist who secured friendly politicians and businessmen privileged government contracts. Whereas Kunwald in private saw that Mises was right, and that a continuation of the inflationary policies after stabilization was leading to catastrophe, he insisted that Mises as government economist keep quiet about the realities of the situation so as not to scare the public or foreign markets about the situation of the banks. And, in particular, so that Kunwald would not lose his influence in procuring licenses and government contracts for his clients. Mises was indeed in the midst of an oppressive situation. In 1926, Mises had founded the Austrian Institute for Business Cycle Research. Four years later, Mises became a member of the prestigious governmental Economic Commission to inquire into the economic difficulties of Austria. When Mises had the Institute prepare a report for the Commission, it became clear that the banks were on the point of collapse and that Austria was disastrously consuming capital. The banks, of course, objected to the Commission or the Institute publishing the report and thereby endangering their own precarious positions. Mises was torn between his devotion to scientific truth and his commitment to trying to bolster the existing system as long as possible; and so, in a compromise, he agreed that neither the Commission nor Institute would publish, but instead the damaging report would appear under the personal name of the Institute’s director, Oskar Morgenstern. Under these crippling pressures, it was no wonder that Wilhelm Rosenberg, despairing of the situation, was driven to death; Mises, however, fought on bravely and it must have been almost a relief to him when the Austrian banks met their inevitable doom in l931. For sixteen years I fought a battle in the Chamber in which I won nothing more than a mere delay of the catastrophe. I made heavy personal sacrifices although I always foresaw that success would be denied me. But I do not regret that I attempted the impossible. I could not act otherwise. I fought because I could do no other. Occasionally I was reproached because I made my point too bluntly and intransigently, and I was told that I could have achieved more if I had shown more willingness to compromise…. I felt the criticism was unjustified; I could be effective only if I presented the situation truthfully as I saw it. As I look back today at my activity with the Chamber I regret only my willingness to compromise, not my intransigence. I was always ready to yield in unimportant matters if I could save other more important issues. Occasionally I even made intellectual compromises by signing reports which included statements that did not represent my position. This was the only possible way to gain acceptance by the General Assembly of the Chamber or approval by the public of matters I considered important. Mises in the 1920s: Scholar and Creator Economic Calculation i... Ludwig von Mises Best Price: $3.49 Buy New $6.94 (as of 05:55 EDT - Details) The Bolshevik Revolution, as well as the growth of corporatist sentiment during and after World War I, transformed socialism from a utopian vision and goal into a spreading reality. Before Mises turned his great searchlight of a mind on the problem, criticisms of socialism had been strictly moral or political, stressing its use of massive coercion. Or, if economic, they had focused on the grave disincentive effects of communal or collective ownership (often expressed in the gibe, “Under socialism, who will take out the garbage?”). But Mises, addressing the problem in a paper delivered to the Nationalökonomisch Gesellschaft (Economic Society) in 1919, came up with the most devastating possible demolition: the impossibility of economic calculation under socialism. Mises’s paper was published the following year as “Die Wirtschaftsrechnung im sozialistischen Gemeinwesen” (“Economic Calculation in the Socialist Commonwealth”), in the Archiv für Sozialwissenschaft und Sozialpolitik. It was a veritable shock to thoughtful socialists, for it demonstrated that, since the socialist planning board would be shorn of a genuine price system for the means of production, the planners would be unable to rationally calculate the costs, the profitability, or the productivity of these resources, and hence would be unable to allocate resources rationally in a modern complex economy. The stunning impact of Mises’s argument came from its demolishing socialism on its own terms. A crucial objective of socialism was for central planners to allocate resources to fulfill the planners’ goals. 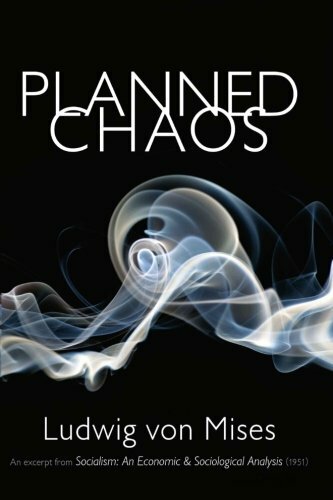 But Mises showed that, even if we set aside the vexed question of whether the planners’ goals coincide with the public good, socialism would not permit the planners to achieve their own goals rationally, let alone those of consumers or of the public interest. For rational planning and allocation of resources require the ability to engage in economic calculation, and such calculation in turn requires resource prices to be set in free markets where titles of ownership are exchanged by owners of private property. But since the very hallmark of socialism is government or collective ownership (or, at the very least, control) of all nonhuman means of production  land and capital  this means that socialism will not be able to calculate or rationally plan a modern economic system. Mises’s profound article had a blockbuster impact on European socialists, particularly in German-speaking countries, over the next two decades, as one socialist after another tried to solve the Mises problem. By the late 1930s, the socialists were confident that they had solved it by using mathematical economics, wildly unrealistic neoclassical perfect competition and general equilibrium assumptions, and  particularly in the schemes of Oskar Lange and Abba P. Lerner  by the central planning board’s ordering the various managers of socialist forms to “play at” markets and market prices. Mises expanded his arguments in journal articles and in his comprehensive critique, Die Gemeinwirtschaft (Socialism) in 1922. His seminal article was finally translated into English in 1935, and his Socialism a year later, and F.A. Hayek also weighed in with elaboration and development. Finally, Mises gave the final rebuttal to the socialists in his monumental Human Action in 1949. While the official textbook line by the 1940s  when socialism had triumphed among intellectuals  decreed that Lange and Lerner had solved the crucial question posed by Mises, Mises and the free market have had the last laugh. It is now generally acknowledged, especially in Communist countries, that Mises and Hayek were right, and that the enormous defects of socialist planning in practice have confirmed their views. In virtually every Communist country there is a rapid movement toward free markets, and even of the reconstitution of a stock market, a market in titles to private ownership. In the meantime, socialist intellectuals in the West, more removed from harsh socialist reality, slough off the problem by repudiating the very goal of rational allocation and calculation altogether, and by speaking of instinct and irrationality being the nub and glory of socialism. They [the socialists] failed to see the very first challenge: How can economic action that always consists of preferring and setting aside, that is, of making unequal valuations, be transformed into equal valuations, by the use of equations? Thus the advocates of socialism came up with the absurd recommendation of substituting equations of mathematical catallactics, depicting an image from which human action is eliminated, for the monetary calculation in the market economy. Mises’s book Socialism had an enormous influence during the 1920s and 1930s, not only in raising profound questions of socialists, but also in converting countless young socialist intellectuals to the cause of freedom and free markets. Brilliant young socialists Friedrich A. Hayek, Wilhelm Röpke in Germany, and Lionel Robbins in England, were among the many converted by Socialism, and who became for many years followers and disciples of Mises as well. During the 1920s, Mises also continued to develop the business cycle theory that had emerged out of his integration of money into general microeconomics in Money and Credit. In journal articles and books, Mises expanded his theory, warned against the inflationary credit policy of that era, and engaged in a scintillating critique of the proto-monetarist stabilization views of that favorite economist of the New Era of the 1920s, Irving Fisher. Fisher and his disciples insisted that all was well during the 1920s because, for example, the price level in the United States remained constant. To Mises the important point was masked by level prices caused by increases in productivity: that the inflationary credit was creating unsound booms in capital investment and in the markets for titles to capital  stock markets and real estate. Mises’s warnings of financial collapse and depression were remembered after 1929, although they were generally scorned at the time. Mises’s earliest researches had taught him that government intervention almost invariably proved to be counterproductive; and his explorations into money and business cycles amply conformed and reinforced this insight. In a series of articles in the 1920s, Mises investigated various forms of government intervention, and showed them all to be ineffective and counterproductive. (The essays were published in book form as Kritik des Interventionismus in 1929.) In fact, Mises arrived at a general law that, whenever the government intervened in the economy to solve a problem, it invariably ended, not only in not solving the original problem, but also creating one or two others, each of which then seemed to cry out for further government intervention. In this way, he showed government interventionism, or a “mixed economy,” to be unstable. Each intervention only creates new problems, which then face the government with a choice: either repeal the original intervention, or go on to new ones. In this way, government intervention is an unstable system, leading logically either back to laissez-faire or on to full socialism. 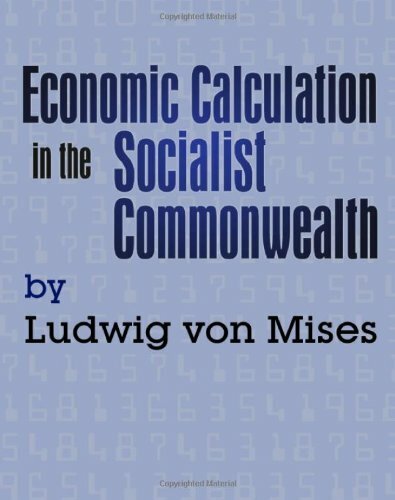 But Mises knew from his study into socialism that a socialist system was “impossible” for the modern world: that is, it was lacking the price system necessary to economic calculation, and therefore for running a modern industrial economy. But if interventionism is unstable, and socialism is impossible, then the only logical economic policy for a modern industrial system was laissez-faire liberalism. 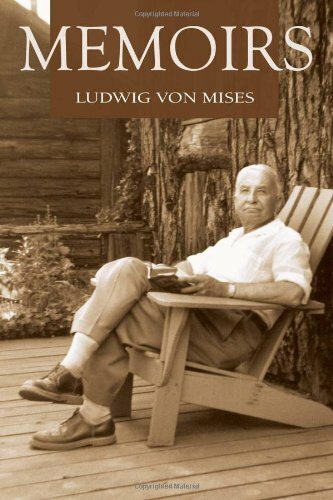 Mises therefore took the rather vague commitment to the market economy of his Austrian predecessors and hammered it into a logical, consistent, and uncompromising adherence to laissez-faire. In keeping with this insight, Mises published his comprehensive work, Liberalismus, on “classical,” or laissez-faire, liberalism, in 1927. Thus, while Mises had not yet completed his comprehensive treatise on economics, he had, by the end of the 1920s, hammered out the complete, thoroughgoing political-economy part of his developing grand system. Laissez-faire, interventionism, and socialism were now compared and contrasted in detail, and a passionate commitment made by Mises to laissez-faire. Strengthening that commitment was an insight he had already set forth in Socialism: that the division of labor, and its concomitants, private property and freedom of exchange, were absolutely basic to civilization and to society itself. What Mises was consistently advocating, and what his opponents of other schools of political economy were undermining, were the very conditions necessary to the maintenance of civilization and of an economy that sustains modern high levels of population. In his eloquent discussion of society and the division of labor, and in his Spencerian contrast of the industrial versus the militarist principle, Mises also builds on the crucial Austrian insight that both parties, the buyer and the seller, the employer and the worker, necessarily benefit from every act of exchange. Mises concludes that the adoption and the development of the division of labor rests on man’s reason and will, on his recognition of the mutual benefits of exchange. This emphasis on human reason and will, in the noblest traditions of rationalism, contrast sharply to the Hayekian or Scottish Enlightenment emphasis on society or the market as the product of some sort of tropism or instinct, e.g., Hayek’s emphasis on the tropistic, unwilled emergence of “spontaneous order,” or Adam Smith’s conjuring up of a spurious instinct, or “propensity to truck and barter,” as an explanation of exchange. Indeed, seizing the occasion of writing a foreword to a reprint of Socialism published years after Mises’s death, F.A. Hayek significantly altered the unalloyed praise of the book that he had lavished at a tribute dinner to Mises over twenty years earlier. Now he severely criticized Mises’s reference in Socialism to “social cooperation (in particular, the market-economy) as an emanation of rationally recognized utility,” as an example of “extreme rationalism” and as factually incorrect. He went on to the insulting “explanation” that Mises had not been able to “escape from” such rationalism “as a child of his time”  a curious statement since Mises’s “time” was one of pervasive irrationalism. Hayek, in contrast, strongly asserts that “it certainly was not rational insight into its general benefits that led to the spreading of the market economy.” If not that, one wonders then how the market economy got established in the first place. For each individual exchange, no person would engage in it unless he knew consciously and “rationally” that he would benefit. And as for the market economy as a whole, Hayek who in his earlier writings had declared formally that ideas make history, fails to explain how the free market did come about. Moreover, Hayek thereby ignores over two centuries of a classical liberal movement in Western Europe and the United States dedicated to freedom and free markets. In neglecting the fundamental point that all human actions are determined by the individuals’ values and ideas, a “praxeological” insight at the heart of Misesian thought, Hayek can only believe, without explicitly declaring it, that human beings are not conscious actors and choosers but only tropistic stimulus-and-response mechanisms. 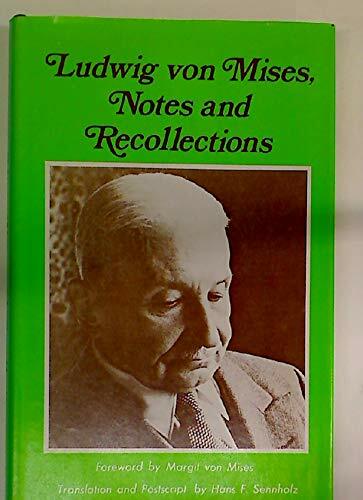 Remarkably, we have by no means exhausted the extent of Ludwig von Mises’s profound contributions to scholarship and to economics during the 1920s. From his earliest days, Mises had confronted, and challenged the Historical School of economics dominant in Germany. The Historical School was marked by its insistence that there can be no economic laws transcending mere description of the circumstances of individual time and place, and that the only legitimate economics therefore is not theory but a mere examination of history. Politically, this meant that there were no inconvenient economic laws for government to violate, and to cause counterproductive consequences of governmental measures. It is no wonder that the head of the Historical School, Gustav Schmoller of the University of Berlin, declared that the function of German academics was to form “the intellectual bodyguard of the House of Hohenzollern.” During the 1920s, Institutionalism, an outgrowth of the Historical School but devoid of the latter’s scholarship or intellectual base, became dominant in the United States. Mises was certainly correct in referring to these groups, in his seminars, as “anti-economists.” But, in addition, Mises saw the economic methodology that had been habitually employed by Austrians and by many classical economists such as Say and Senior, attacked on different grounds by a new group, logical positivists, spawned in his native Vienna. Indeed, Ludwig’s own younger brother, by two years, Richard von Mises, a mathematician and aeronautical engineer, became a leading member of this “Vienna Circle.” In addition, one of the devoted students in Mises’s seminar, Felix Kaufmann, was later to write a positivist work on the methodology of the social sciences. This Vienna Circle, or “Schlick Circle” after their leader, was small in number but increasingly dominant in Viennese philosophical circles, and later gained virtually total dominance over the philosophical scene in the United States for decades after World War II, after emigrating to top academic posts in the United States. A story Mises related to me about the logical positivists and their impact was characteristic of his wit and charm. He was walking around Vienna with his good friend, the German philosopher Max Scheler. The onslaughts of the institutionalists and especially the positivists on economic theory forced Mises to think deeply about the methodology of economics, and also on the basic epistemology of the sciences of human action. Thinking deeply about the subject, he arrived at the first philosophically self-conscious defense of the economic method used by the earlier Austrians and some of the classicists. Furthermore, he was able to demonstrate the truly “scientific” nature of this correct method, and to show that the developing positivist methodology of much neo-classical economics was itself profoundly mistaken and unscientific. In brief, Mises demonstrated that all knowledge of human action rests on methodological dualism, on a profound difference between the study of human beings on the one hand, and of stones, molecules, or atoms, on the other. The difference is that individual human beings are conscious, that they adopt values, and make choices  act  on the basis of trying to attain those values and goals. He pointed out that this axiom of action is self-evident, that is (a) evident to the self once pointed out, and (b) cannot be refuted without self-contradiction, that is without using the axiom in any attempt to refute it. Since the axiom of action is self-evidently true, any logical deductions or implications from that action must be absolutely, uncompromisingly, “apodictically,” true as well. Not only is this body of economic theory absolutely true, but therefore any talk of “testing” its truth is absurd and meaningless, since the axioms are self-evident and no “testing” could occur without employing the axiom. Moreover, no “testing” can take place since historical events are not, as are natural events in the laboratory, homogeneous, replicable, and controllable. Instead, all historical events are heterogeneous, not replicable, and the resultant of complex causes. The role of economic history, past and contemporary, then, is not to “test” theory but to illustrate theory in action and to use it to explain historical events. Mises also saw that economic theory was the formal logic of the inescapable fact of human action, and that such theory was therefore not concerned with the content of such action, or with psychological explanations of values and motives. Economic theory was the implication of the formal fact of action. Hence, Mises, in later years, would name it “praxeology,” the logic of action. In his critique of logical positivism, Mises saw that a philosophy that treated people as if they were stones and atoms, whose behavior could be predicted and determined according to quantitative laws, was particularly likely to lead to the viewpoint of social engineers, who deal with people as if they were inanimate physical objects. Indeed, positivist Otto Neurath was one of the leading socialist theorists in Central Europe. Mises wrote that this allegedly “scientific” approach would study the behavior of human beings according to methods Newtonian physics resorts to in the study of mass and motion. On the basis of this allegedly “positive” approach to the problems of mankind, they plan to develop “social engineering,” a new technique that would enable the “economic tsar” of the planned society of the future to deal with living men in the way technology enables the engineer to deal with inanimate materials. Mises began publishing his series of epistemological articles in 1928, and then collected and published them in his seminal philosophical and methodological work, Grundprobleme der Nationalökonomie (Epistemological Problems of Economics) in 1933. Since Mises was under severe restrictions in his teaching post at the University of Vienna, as noted above, his influence at university teaching was severely limited. While such outstanding Misesians of the 1920s as F.A. Hayek, Gottfried von Haberler, and Oskar Morgenstern studied under Mises at the university, Fritz Machlup was his only doctoral student. And Machlup was prevented from acquiring his habilitation degree, which would have permitted him to teach as a privatdozent, by anti-Semitism among the economics professors. Mises’s enormous influence, as teacher and mentor, arose instead from the private seminar that he founded in his office at the Chamber of Commerce. From 1920 until he left for Geneva in 1934, Mises held the seminar every other Friday from seven to approximately ten o’clock (accounts of participants differ slightly), after which they repaired to the Italian restaurant Anchora Verde for supper, and then, around midnight, the seminar stalwarts, invariably including Mises, went on to the Cafe Künstler, the Favorite Vienna coffeehouse for economists, until one in the morning or after. The Mises seminar gave no grades, and had no official function of any kind, either at the University or at the Chamber of Commerce. And yet such were Mises’s remarkable qualities as scholar and teacher that, very quickly, his Privatseminar became the outstanding seminar and forum in all of Europe for discussion and research in economics and the social sciences. An invitation to attend and participate was considered a great honor, and the seminar soon became an informal but crucially important center for post-doctoral studies. The list of later-to-be eminent names of Miseskreis participants, from England and the United States as well as from Austria, is truly staggering. …I was an enthusiastic admirer of Mises’ theory of money and very skeptical of his extreme [laissez-faire] liberalism. It was a proof of how elastic and tolerant (in spite of a contrary general opinion) Mises was that we maintained a very good relation in spite of my being “pink” or rather having a very Fabian outlook on life, which I did not change. My main teaching effort was focused on my Privatseminar… In these meetings we informally discussed all important problems of economics, social philosophy, sociology, logic, and the epistemology of the sciences of human action. In this circle the younger [post-Böhm-Bawerk] Austrian School of Economics lived on, in this circle the Viennese culture produced one of its last blossoms. Here I was neither teacher nor director of seminar, I was merely primus inter pares [first among peers] who himself benefited more than he gave. All who belonged to this circle came voluntarily, guided only by their thirst for knowledge. They came as pupils, but over the years became my friends…. We formed neither school, congregation, nor sect. We helped each other more through contradiction than agreement. But we agreed and were united on one endeavor: to further the sciences of human action. Each one went his own way, guided by his own law…. We never thought to publish a journal or a collection of essays. Each one worked by himself, as befits a thinker. And yet each one of us labored for the circle, seeking no compensation other than simple recognition, not the applause of his friends. There was greatness in this unpretentious exchange of ideas; in it we all found happiness and satisfaction. Other participants who, it must be conceded, showed little influence of Mises in later life were the Swedish Keynesian Ragnar Nurkse (Columbia University) and Albert Gailord Hart (Columbia University). Not content with his own seminar, Mises single-handedly revived the Economic Society, a professional society of economists that he had helped found, along with Karl Pribram, in 1908, and which had fallen into disuse during the war. The Miseskreis formed the core of the group, which was much larger than the Mises seminar. Mises and his colleagues maneuvered to get rid of Othmar Spann, and, in order to insure Hans Mayer’s participation, Mayer was made President of the Society, while Mises, the driving force of the group, agreed to become Vice-President. The Society was dominated by Misesians, with Hayek becoming Secretary, Machlup Treasurer, with Morgenstern becoming Machlup’s successor as Treasurer. Richard Schüller was a distinguished member of the group, and Mises seminar member Karl Schlesinger, president of the National Bankers Association, secured the large conference room of the Bankers Association for the Society’s meetings. Many of the Society’s papers were published in Hans Mayer’s scholarly journal, the Zeitschrift fur Nationalökonomie. By the mid-1920s, Mises made a considerable effort to find a job for F.A. Hayek. He tried to convince the Chamber of Commerce to create a research position in Mises’s office, which Hayek would have filled, but his attempt failed. After Hayek spent a year in the United States and returned singing the praises of empirical business cycle research, Mises founded the Institute for Business Cycle Research in January 1927, and installed Hayek as director in an office at the Chamber of Commerce. In 1930, the poorly funded Institute received a large infusion of funds from the Rockefeller Foundation, at the behest of former Mises seminar member John Van Sickle, who had become assistant director of the Foundation’s office in Paris. The increased funding enabled the Institute to hire Morgenstern and Haberler to assist Hayek, and, when Hayek left Austria for England in 1931, Morgenstern succeeded him as Director. While most Viennese, including Mises’s friends and students, basked in the Pollyanna view that Nazism could never happen in Austria, Mises, in the early 1930s, foresaw disaster and urged his friends to emigrate as soon as possible. Machlup credits Mises’s advice for saving his life. With characteristic wit and insight, Mises pictured a likely scenario for his friends and himself in the New World: they would all, he prophesied, open a cafe and nightclub somewhere in Latin America. Mises would be the doorman, the formal and aloof Hayek the head waiter, the songster Felix Kaufmann would be the crooner, and the suave Machlup the club gigolo. The first Misesian to emigrate was F.A. Hayek. Lionel Robbins had been converted to laissez-faire and to Austrian economics by reading Socialism and then participating in Mises’s Privatseminar. Ensconced as head of the economics department at the London School of Economics, Robbins soon became an influential adviser to the head of the school, Sir William Beveridge. Robbins got Hayek an invitation to give a series of lectures at the LSE in 1931, and the lectures took the school by storm. Quickly, Hayek was offered a full professorship at the LSE. Hayek and Robbins swept all before them at London in the first half of the 1930s, spreading the influence especially of Austrian capital and business cycle theory. Hayek converted the top young economists at LSE to the hard-money and laissez-faire views of Austrian economics; enthusiastic Austrian converts included such later Keynesian leaders as John R. Hicks, Abba P. Lerner, Nicholas Kaldor, Kenneth E. Boulding, and G.L.S. Shackle. Economica, the journal of the LSE, was filled with Austrian articles. Only Cambridge, the stronghold of Keynes, remained hostile, and even here, there were similarities to Austrianism in D. H. Robertson’s monetary approach. Robbins was a student of Edwin Cannan at the London School of Economics, himself an advocate of hard money and laissez-faire. 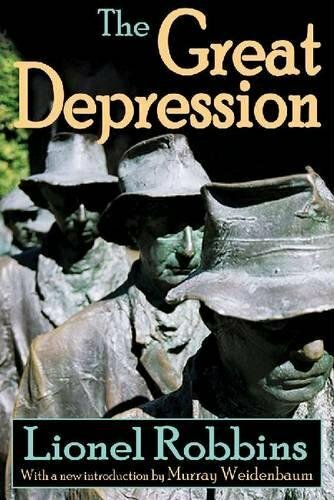 Frederic Benham, a student of Cannan, adopted the Austrian view of the Depression, and Robbins wrote a scintillating Misesian study of The Great Depression in 1934. Under Robbins’s influence, Beveridge, in his 1931 edition of Unemployment, a Problem of Industry, attributed the large-scale British unemployment of the post-war world to excessively high wage rates. Robbins, furthermore, published some challenging Austrian articles on microeconomics and on population theory in the early 1930s. In 1932, moreover, he published a watered-down version of Misesian praxeology, On the Nature and Significance of Economic Science, which became the bible of methodology for economists until Milton Friedman’s unfortunate positivist manifesto was published in the early 1950s. In addition to these prodigious efforts, Robbins arranged for the translation and publication of Hayek’s two books on business cycle theory (Monetary Theory and the Trade Cycle, and Prices and Production), and finally arranged for the translation of Mises’s Theory of Money and Credit and Socialism. But, then, just as it seemed that Austrian economics would conquer England (particularly as having predicted and offered an explanation of the Great Depression), Keynes’s General Theory swept all before it, and by the late 1930s all of Hayek’s converts had shifted suddenly to Keynesianism, even though they were by then mature enough to know better. All the stalwarts, including Robbins, Hicks, Beveridge, and the rest, had shifted over, and by the end of the 1930s only Hayek was left untouched by the Keynesian storm. But it must have been a particularly bitter blow to Ludwig von Mises that such favorite students of his as Machlup and Haberler had become Keynesians, albeit relatively moderate ones. In addition to his enormous influence upon thought in Austria, Mises also exerted considerable influence over economists in Germany. Georg Halm joined Mises in attacking the possibility of economic calculation under socialism. L. Albert Haln, a German banker and economist, had been a proto-Keynesian inflationist in the 1920s, but turned around to be a severe critic of Keynes in the 1930s. Other German economists strongly affected by Mises were Wilhelm Röpke, Alfred Müller-Armack, Goetz A. Briefs, an expert on labor unions, Walter Sulzbach, a critic of the Marxian concept of class, Alexander Rüstow, economic historian, Mortiz J. Bonn, and Ludwig Pohle. Luigi Einaudi of Italy, and monetary specialist Jacques Rueff in France were also friends of, and influenced by, von Mises. More alert than any of his colleagues to the ever-encroaching Nazi threat in Austria, Mises accepted a chair in 1934 as professor of International Economic Relations at the Graduate Institute of International Studies at the University of Geneva. Since the initial contract at Geneva was only for one year, Mises retained a part-time post at the Chamber of Commerce, on one-third salary. Mises’s contract was to be renewed until he left Geneva in 1940. While it saddened him to leave his beloved Vienna, Mises was happy during his six years in Geneva. Established at his first (and last!) paid academic post, he was surrounded by such friends and likeminded colleagues as jurist and economist William E. Rappard, president of the Institute; Institute co-director Paul Mantoux, the eminent French economic historian; Mises’s boyhood friend, the distinguished jurist Hans Kelsen; Wilhelm Röpke, who had left Germany because of the Nazis; and French scholars Louis Rougier and Louis Baudin. Mises’s lectures were in French, but he was fluent in French, and spoke it with no trace of an accent. Teaching only one weekly seminar on Saturday mornings, and divested of his political and administrative duties at the Chamber, Mises finally enjoyed the leisure to embark upon, and finish, his great masterpiece integrating micro- and macro-economics, the analysis of the market and of interventions into that market, all constructed on the praxeological method that he had set forth in the 1920s and early 1930s. This treatise was published as Nationalökonomie (Economics) in Geneva, in 1940. Despite these favorable conditions, it took great courage for Mises to continue his work in the face of the tidal wave of Keynesian economics after 1937, and of the growth of socialist doctrines of left and right, as well as the onrush of Nazism and the imminence of a second horrible world war. In 1938, Mises was horrified to see the Nazi conquest of Austria, accompanied by the Nazi destruction of his personal library and papers, but he was cheered by being able to marry his fiancée, Margit Sereny, when she was able to flee to Geneva. The onset of World War II put an enormous amount of pressure on the Miseses. In addition to depriving the Institute of its non-Swiss students, the war meant that refugees, such as Mises, were increasingly made to feel unwelcome in Switzerland. Finally, when the Germans conquered France in the spring of 1940, Ludwig, prodded by his wife, decided to leave a country now surrounded by the Axis powers and flee to the Mecca for the victims of tyranny, the United States. Emigration to the United States was a particularly harrowing experience for Mises. Here he was, a man of nearly sixty, in contrast to his fluency in French only book-learned in English, fleeing from a lifetime in Europe, impoverished, with no prospect of a job in the United States, forced to dodge German troops as he and Margit made their way across France to Spain and finally Lisbon, where they embarked for the United States. His entire world, his hopes and dreams, were shattered, and he was forced to make a new life in a new country with an unfamiliar language. And to top it all, as he saw a world succumbing to war and statism, his great masterpiece, Nationalökonomie, published during wartime conditions, had sunk without a trace. World War II was no time to interest anyone in high theory. Moreover, the book was not allowed to reach the German-speaking countries which constituted its natural market, and its Swiss publishing firm failed during the war. I thus had arrived at this hopeless pessimism that for a long time had burdened the best minds of Europe…. This pessimism had broken the strength of Carl Menger, and it overshadowed the life of Max Weber…. It is a matter of temperament how we shape our lives in the knowledge of an inescapable catastrophe. In high school I had chosen the verse by Virgil as my motto: Tu ne cede malis sed contra audentior ito (“Do not yield to the bad, but always oppose it with courage”). In the darkest hours of the war, I recalled this dictum. Again and again I faced situations from which rational deliberations could find no escape. But then something unexpected occurred that brought deliverance. I could not lose courage even now. I would do everything an economist could do. I would not tire in professing what I knew to be right. 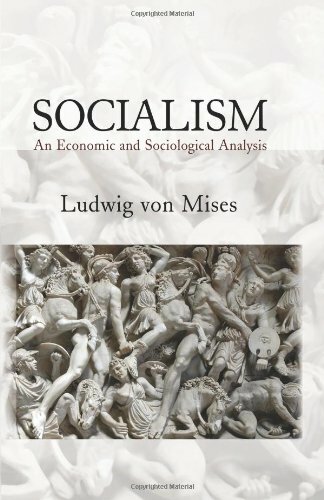 It was at that point, Mises went on, that he decided to write the book on socialism which he had contemplated before the outbreak of World War I. Every other terrible situation faced by Mises in his life was met by the same magnificent courage: in the battle against inflation, the struggle against the Nazis, the flight during World War II. In every case, no matter how desperate the circumstance, Ludwig von Mises carried the fight forward, and deepened and expanded his great contributions to economics and to all the disciplines of human action. Life began to improve for Mises when his old connection with John Van Sickle and the Rockefeller Foundation led to a small annual grant via the National Bureau of Economic Research, a grant which began in January 1941 and was renewed though 1944. From these grants emerged two important works, the first books of Mises written in English, both published by the Yale University Press in 1944. One was Omnipotent Government: The Rise of the Total State and Total War. The dominant interpretation of Nazism in that era was the Marxist view of Columbia University Professor and German refugee Franz Neumann: that Nazism was the last desperate gasp of German big business, anxious to crush the rising power of the proletariat. That view, now thoroughly discredited, was first challenged by Omnipotent Government, which pointed out the statism and totalitarianism that underlay all forms of left-wing and right-wing collectivism. 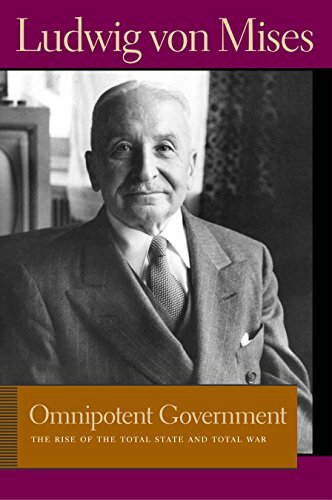 The other Mises book, Bureaucracy, was a marvelous little classic, which delineated, as never before, the necessary differences between profit-seeking enterprise, the bureaucratic operation of nonprofit organizations, and the far worse bureaucracy of government. Yale University Press published Mises’s first English works in the teeth of an overwhelming dedication to socialism and statism by the major book publishers of that era. The press was secured for publishing Mises by his first new friend in the United States, the prominent economic journalist, Henry Hazlitt, then the lucid editorial writer and economist for the New York Times. Hazlitt had admired Mises since he had glowingly reviewed the English edition of Socialism in the Times in 1938. Hazlitt met Mises shortly after his arrival in the United States, and he soon became a close friend and disciple, writing prolifically and creatively on Austrian economics and tirelessly advancing the cause of Mises the person as well as the scholar. In early 1943, after Mises had completed the manuscript of Omnipotent Government, Hazlitt steered it to the libertarian-minded editor at Yale University Press, Eugene Davidson, who was enthusiastic about the book. From then on through the 1950s, the prestigious Yale Press served as the publisher of all of Mises’s work, both new and reprint. In fact, it was Davidson who suggested, in early 1944, that Mises write a short book on bureaucracy, and Mises completed the manuscript by June of that year. Through Hazlitt’s good offices, Mises published nine articles for the New York Times, on world economic problems, during 1942 and 1943. This spread Mises’s ideas in the United States, and in January 1943, led Noel Sargent, secretary of the National Association of Manufacturers  an organization then devoted to laissez-faire  to invite Mises to join the Economic Principles Commission of the NAM. Mises served on the NAM Commission from 1943 to 1954, and was hence able to meet many of the leading industrialists devoted to a free market economy. But it remains an ineradicable blot on the record of American academia that Mises was never able to find a paid, full-time post in any American university. It is truly shameful that at a time when every third-rate Marxoid refugee was able to find a prestigious berth in academia, that one of the great minds of the twentieth century could not find an academic post. 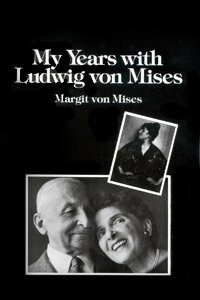 Mises’s widow Margit, in her moving memoir about life with Lu, records their happiness and her gratitude that the New York University Graduate School of Business Administration, in 1945, appointed Mises as Visiting Professor teaching one course a term. Mises was delighted to be back at university teaching; but the present writer cannot be nearly as enthusiastic about a part-time post paying the pittance of $2,000 a year. Mises’s course was, at first, on “Statism and the Profit Motive,” and it later changed to one on “Socialism.” This part-time teaching post was renewed until 1949. Harold Luhnow, of the William Volker Fund, took up the crusade of finding Mises a suitable full-time academic post. Since obtaining a paid position seemed out of the question, the Volker Fund was prepared to pay Mises’s entire salary. Even under these subsidized conditions, however, the task was difficult, and finally New York University Graduate School of Business agreed to accept Mises as a permanent “Visiting Professor,” teaching, once again, his beloved graduate seminar on economic theory. Mises began teaching his seminar every Thursday night in 1949, and continued to teach the seminar until he retired, still spry and active twenty years later, at the age of 87, the oldest active professor in America. It must have been galling to Mises that, in contrast to his shabby treatment at the hands of American academia, favorite former students who had abandoned Misesian doctrines for Keynesianism, but whose only real contributions to economics had come as Misesians, received high and prestigious academic posts. Thus Gottfried Haberler was ensconced as full professor at Harvard, and Fritz Machlup went to John Hopkins and later to Princeton. Oskar Morgenstern, too, landed at Princeton. All of these high academic positions were, of course, paid for by the university. Mises never expressed any bitterness at his fate or at the apostasy of his former followers, nor indeed did he communicate sourness of any kind to his inspired and admiring seminar students. Only once did the present writer, his seminar student for ten years and friend for the rest of his life, hear him express any sadness or bitterness at his treatment by American academia. The occasion was the Columbia University Bicentennial of 1954, an event that led Columbia to invite prominent scholars from all over the world to speak and participate. Mises saw his old students, Hayek, Machlup, Haberler, and Morgenstern, invited to speak, but Mises, who lived less than a mile from Columbia, was totally ignored. And this, even though four of Mises’s former students  Mintz, Nurkse, Hart, and the qualitative school banking theorist Benjamin H. Beckhart  were teaching at Columbia University. Margit von Mises writes that only once did he express to her any longing for an academic post  after visiting his old friend, the monetary economist Winfield W. Riefler, at the Institute for Advanced Study in Princeton. She writes that “I remember Lu once told me that Riefler’s job at Princeton was the only position that really would have made him happy. It was very unusual for Lu to express a longing for something out of his reach.” If there were any justice in the academic world, the Institute heads should have beaten down Mises’s doors, clamoring for him to join them. For the present writer, who was privileged to join the Mises seminar in its first session in 1949, the experience at the seminar was inspiring and exhilarating. The same was true of fellow students who were not registered at NYU, but audited the seminar regularly for years, and consisted of libertarian and free-market scholars and businessmen in the New York area. Due to the special arrangements of the seminar, the university agreed to allow Misesians to audit the course. But even though Mises had a small number of excellent graduate students who did their doctorates under him  notably Israel M. Kirzner, still teaching at NYU  the bulk of the regular students were uncomprehending business students, who took the course for an easy A. The proportion of libertarians and budding Austrians to the class total ranged, I would estimate, from about one-third to one-half. However wonderful the seminar experience for knowledgeable students, I found it heartbreaking that Mises should be reduced to these frowzy circumstances. Poor Mises: there was scarcely a Hayek or a Machlup or a Schütz among these accounting and finance majors, and Childs’ Restaurant was no Viennese cafe. But one incident corrected some of this view. One day, Mises was invited to speak before the graduate economic students and faculty at Columbia University, a department then rated among the top three economics departments in the country. Typical of the questions after his talk was this: “Professor Mises, you say you are in favor of repealing measures of government intervention. But doesn’t such repeal itself constitute an act of intervention?” To this inane question, Mises gave a perceptive and telling reply: “Well, in the same way, you could say that a physician who rushes to the side of a man hit by a truck, is ‘intervening’ with the man in the same way as the truck.” Afterwards, I asked Professor Mises how he liked the experience. “Eh,” he replied, “I like my students [at NYU] better.” After that, I realized that perhaps Mises’s teaching at NYU was truly worthwhile, even from his point of view. As early as 1942, Mises, dismayed but undaunted by the sad fate of Nationalökonomie, began work on an English-language version of the book. The new book was not simply an English translation of Nationalökonomie. It was revised, better written and greatly expanded, so much so as to be virtually a new book. It was the great work of Mises’s life. Under the care and aegis of Eugene Davidson, the Yale University Press published the new treatise in 1949 as Human Action: a Treatise on Economics. Happily, the opening of Mises’s seminar coincided with the publication of Human Action, which came out on September 14, 1949. 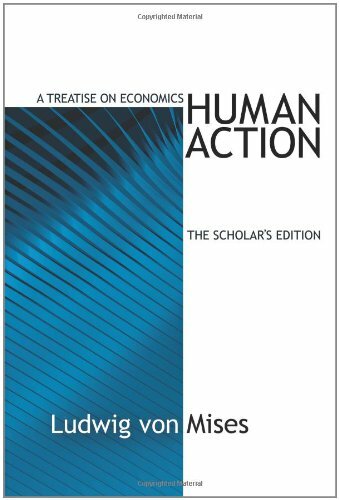 Human Action is it: Mises’s greatest achievement and one of the finest products of the human mind in our century. It is economics made whole, based on the methodology of praxeology that Mises himself had developed, and grounded in the ineluctable and fundamental axiom that human beings exist, and that they act in the world, using means to try to achieve their most valued goals. Mises constructs the entire edifice of correct economic theory as the logical implications of the primordial fact of individual human action. It was a remarkable achievement, and provided a way out for the discipline of economics, which had fragmented into uncoordinated and clashing sub-specialties. It is remarkable that Human Action was the first integrated treatise on economics since Taussig and Fetter had written theirs before World War I. In addition to providing this comprehensive and integrated economic theory, Human Action defended sound, Austrian economics against all its methodological opponents, against historicists, positivists, and neo-classical practitioners of mathematical economics and econometrics. He also updated his critique of socialism and interventionism. In addition, Mises provided important theoretical corrections of his predecessors. Thus, he incorporated the American Austrian Frank Fetter’s pure time preference theory of interest into economics, at long last rectifying Böhm-Bawerk’s muddying of the waters by bringing back the fallacious productivity theory of interest after he had disposed of it in the first volume of his Capital and Interest. It is another blot on American academia that I had gone through all the doctoral courses at Columbia University without once discovering that there was such a thing as an Austrian school, let alone that Ludwig von Mises was its foremost living champion. I was scarcely familiar with Mises’s name, outside of the usual distorted story of the socialist calculation debate, and was therefore surprised to learn in the spring of 1949 that Mises was going to begin a regular seminar at NYU. I was also told that Mises was going to publish a magnum opus in the fall. “Oh,” I asked, “what’s the book about?” “About everything,” they replied. Human Action was indeed about everything. The book was a revelation to those of us drenched in modern economics; it solved all problems and inconsistencies that I had sensed in economic theory, and it provided an entirely new and superb structure of correct economic methodology and theory. Furthermore, it provided eager libertarians with a policy of uncompromising laissez-faire; in contrast to all other free-market economists of that day or later, there were no escape hatches, no giving the case away with “of course, the government must break up monopolies,” or “of course, the government must provide and regulate the money supply.” In all matters, from theoretical to political, Mises was the soul of rigor and consistency. Never would Mises compromise his principles, never would he bow the knee to a quest for respectability or social or political favor. As a scholar, as an economist, and as a person, Ludwig von Mises was a joy and an inspiration, an exemplar for us all. Human Action was and continues to be a remarkable publishing phenomenon. The book to this day is a best seller for the press, so much so that the publisher refuses to put it into paperback. This is truly noteworthy for a massive and intellectually difficult work such as Human Action. Astonishingly, the book was made an alternate selection of the Book-of-the-Month Club, and it has been published in Spanish, French, Italian, Chinese, and Japanese editions. Thus, through Human Action Mises was able to forge an Austrian and laissez-faire movement of national and even international scope. Remarkably too, the Misesian movement forged by Human Action was multi-class: it ranged from scholars to students to businessmen, ministers, journalists, and housewives. Mises himself always placed great importance on outreach to businessmen and the general public. At one time, there were plans afoot for a graduate school, entitled the American School of Economics, to be financed by J. Howard Pew with Mises as president. Some of us younger Misesian scholars were on the Board of Trustees. Mises emphasized that, as was common in Europe, the faculty of the school should give periodic lectures to the general public, so that sound economic education would not be confined to professional scholars. Unfortunately, plans for the school eventually fell through. Yale University Press was so impressed with the popularity as well as the quality of Mises’s book that it served for the next decade as the publisher of his work. The press published a new, expanded edition of Socialism in 1951, and a similarly expanded edition of The Theory of Money and Credit in 1953. Remarkably, too, Mises did not rest on his laurels after the publication of Human Action. His essay on “Profit and Loss” is perhaps the best discussion ever written of the function of the entrepreneur and of the profit-and-loss system of the market. 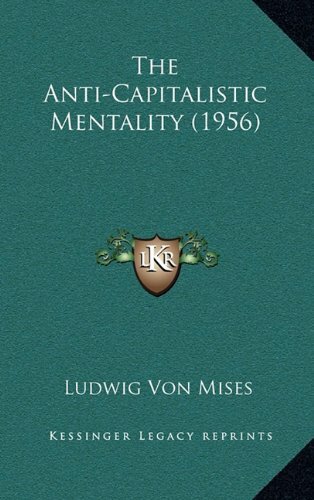 In 1957, the press published Mises’s last great work, the profound Theory and History, his philosophical masterpiece that explains the true relation between praxeology, or economic theory, and human history, and engages in a critique of Marxism, historicism, and various forms of scientism. Theory and History was, understandably, Mises’s favorite next to Human Action. However, after the departure in 1959 of Eugene Davidson to be founding editor of the conservative quarterly Modern Age, Yale University Press no longer served as a friendly home for Mises’s works. In its final years the publishing program of the William Volker Fund took up the slack, and provided the world with an English edition of Liberalismus (as The Free and Prosperous Commonwealth), and of Grundprobleme der Nationalökonomie (as Epistemological Problems of Economics), both published in 1962. Also, in the same last year of Volker Fund existence, the Fund published Mises’s final book, The Ultimate Foundation of Economic Science: An Essay on Method, a critique of logical positivism in economics. After failing for the last two years of his life, the great and noble Ludwig von Mises, one of the giants of our century, died on October 10, 1973, at the age of 92. 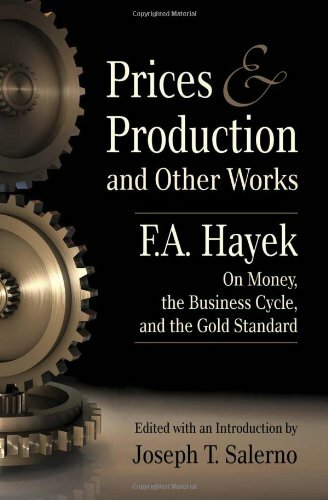 It is ironic that the following year, Friedrich A. Hayek received the Nobel Prize in Economics, not for his later philosophical meanderings and lucubrations, but precisely and explicitly for the work he did, in the 1920s and 1930s, as an ardent Misesian, in elaborating Mises’s theory of business cycles. Ironic because if anyone deserved the Nobel Prize more than Hayek, it was clearly his mentor, Ludwig von Mises. Those of us given to cynical speculation might judge that the Nobel Prize Committee of Sweden deliberately held off the award until Mises’s death, for otherwise they would have had to give the award to someone they considered impossibly dogmatic and reactionary. The Nobel Prize to Hayek, combined with the growing Misesian movement of the preceding fifteen years, sparked a veritable “takeoff” stage for a revival of Austrian economics. For one thing, the general run of economists, virtually obsessed with the Nobel Prize, and never having heard of Hayek, felt obliged to investigate what this person may have done. Hayek’s was also the first Nobel to break the logjam of giving the award only to mathematicians and Keynesians; since then, numerous free-market economists have obtained the award. Since 1974, the revival of Austrian economics and of interest in Mises and his ideas has accelerated greatly. Scorned for the last four decades of Mises’s life, Austrian economics in general, and Mises in particular, are now generally considered, at the very least, a worthy ingredient amidst the current potpourri and confusion of economic thought and opinion. The academic climate is surely very different now, and infinitely better, than it was in the dark days that Mises could not find a suitable academic post. For a few years after 1974, a revival of Austrian economics flourished, and there were notable conferences and published volumes each year. But then the tide seemed to turn, and by the late 1970s centers and institutes previously devoted to the resurgence of Misesian economics began to lose interest. The conferences and books slowed down, in quantity and in quality, and we began to hear once again the old canards: that Mises was too “extreme” and too “dogmatic,” and that it would be impossible to continue as a Misesian and gain “respectability” in the world, to achieve political influence, or, in the case of young academics, to acquire their tenure. Former Misesians began to pursue strange gods, to find great merit in such creeds that Mises detested as the German Historical School, institutionalism, nihilism, and even to prate about a “synthesis” with Marxism. Worse yet, some of these younger Austrians were actually trying to imply that Mises himself, a man who dedicated his entire life to the truth, would actually have blessed such abhorrent maneuverings. Fortunately, just as it seemed that the Misesian path would be lost once again, the Ludwig von Mises Institute was formed in 1982. Its lusty development since then has, virtually singlehandedly, revived Misesian economics and placed it in the dominant position in the growing Austrian movement. Through an annual scholarly journal, The Review of Austrian Economics, a quarterly Austrian Economics Newsletter, a monthly periodical The Free Market, a growing publication program of books, occasional papers, and working papers, annual instructional seminars, policy conferences, numerous non-residential graduate fellowships, and resident fellowships at Auburn University and other universities across the country, the Mises Institute has finally established Austrianism not only as a viable new paradigm for economics but as truly Austrian. In short, in the spirit and the content of the marvelous body of thought that we have inherited from the great Mises. Also in the spirit of Mises, the Institute has forged a multi-level program, from the highest reaches of scholarship, to speaking out boldly on the important concrete policy issues of our time. Hence, after some fits and starts, and thanks to the Mises Institute, we have at last forged an Austrian revival that Mises would be truly proud of. We can only regret that he did not live to see it. Who was Mises the Man? Since his death, some of his most beloved students of the 1920s, particularly F.A. Hayek, have disseminated the view that Mises was “difficult,” “stern,” “severe,” not personally close to his students, and even “personally obnoxious.” These strictures were either given to interviewers, or inserted as barbs in the midst of an effusion of praise for Mises. But is this the sort of teacher who all of his life had gathered around him enthusiastic admirers and followers? Certainly, I can testify that all his American followers were steeped, not only in admiration for the greatness and rigor of his intellect and creative powers, and for his indomitable courage, but also in love with the sweetness of his soul. And if it is to be thought that somehow his personality had been harsher in the 1920s, what kind of an aloof or impersonal mentor would induce a man like Felix Kaufmann to compose songs in honor of Mises’s seminar? I very often, and I am afraid, very indiscreetly, enjoyed his company. All those who have ever had a like privilege realize that he is not only one of the keenest analytical minds among contemporary economists, but that he also has at his disposal a store of historical culture, the treasures of which are animated and illuminated by a form of humanity and Austrian wit rarely to be found today on the surface of this globe. In fact, I sometimes wonder, not without fear, whether our generation is not the last to be blessed with what seems to have been a monopoly of pre-war Vienna. For over sixty years he was at war with the spirit of the age, and with every one of the advancing, victorious, or merely modish political schools, left and right. Decade after decade he fought militarism, protectionism, inflationism, every variety of socialism, and every policy of the interventionist state, and through most of that time he stood alone, or close to it. The totality and enduring intensity of Mises’s battle could only be fueled from a profound inner sense of the truth and supreme value of the ideas for which he was struggling. This  as well as his temperament, one supposes  helped produce a definite “arrogance” in his tone (or “apodictic” quality, as some of us in the Mises seminar fondly called it, using one of his own favorite words), which was the last thing academic left-liberals and social democrats could accept in a defender of a view they considered only marginally worthy of toleration to begin with…. But the lack of recognition seems to have influenced or deflected Mises not in the least. No appreciation of Mises would be complete without saying something, however inadequate, about the man and the individual. 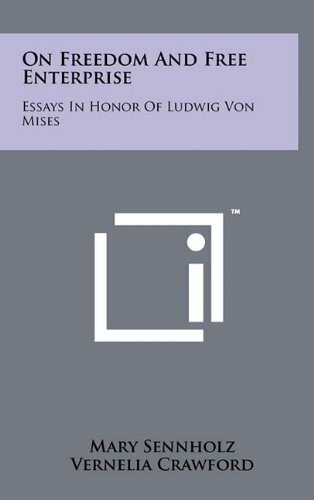 Mises’s immense scholarship, bringing to mind other German-speaking scholars, like Max Weber and Joseph Schumpeter, who seemed to work on the principle that someday all encyclopedias might very well vanish from the shelves; the Cartesian clarity of his presentations in class (it takes a master to present a complex subject simply); his respect for the life of reason, evident in every gesture and glance; his courtesy and kindliness and understanding, even to beginners; his real wit, of the sort proverbially bred in the great cities, akin to that of Berliners, or Parisians and New Yorkers, only Viennese and softer  let me just say that to have, at an early point, come to know the great Mises tends to create in one’s mind life-long standards of what an ideal intellectual should be. These are standards to which other scholars whom one encounters will never be equal, and judged by which the ordinary run of university professor  at Chicago, Princeton, or Harvard  is simply a joke (but it would be unfair to judge them by such a measure; here we are talking about two entirely different sorts of human beings). For such as he can lend  they borrow not Glory from those who made the world their prey: And he is gathered to the kings of thought Who waged contention with their time’s decay, And of the past are all that cannot pass away. Ludwig von Mises, Notes and Recollections (South Holland, IL: Libertarian Press, 1978), p. 7. Mises, Notes, p. 6. Nonetheless, about forty years ago, Edith Murr Link, then at work on a doctoral dissertation on a closely related subject, told me that Mises’s work was still considered definitive. On Grünberg, also see Earlene Craver, “The Emigration of Austrian Economists,” History of Political Economy 18 (Spring 1987), p. 2. The book was entitled, A Contribution to Austrian Factory Legislation. Mises, Notes, p. 6. Margit von Mises, My Years with Ludwig von Mises (2nd Enlarged Ed., Cedar Falls, IA: Center for Futures Education, 1984), p. 200. The name of the organization, upon Mises’s joining it in 1909, was the Lower Austrian Chamber of Commerce and Industry. In 1920, it changed its name to the Vienna Chamber of Commerce, Handicrafts, and Industry. On Mises’s articles on gold and foreign exchange, on Böhm-Bawerk’s revelations, and on Mises’s decision, see Mises, Notes, pp. 4353. Mises’s stress on the utility of, and demand for, cash balances anticipated a seemingly similar emphasis by Alfred Marshall and his Cambridge School disciples, Pigou and Robertson. The difference, however, is that the Marshallian k, the demand for cash balances, was as aggregative and mechanistic as the Fisherine V, or “velocity of circulation,” so that the Cambridge k could easily be trivialized as the mathematical inverse of the Fisherine V. Mises’s demand for cash balance, grounded as it is in each individual’s demand, cannot be mathematically reduced in this way. When gold or some other useful commodity is money, an increase in the stock of gold does confer a social benefit in its non-monetary uses; for now there is more gold available for jewelry, for industrial and dental uses, etc. Only in its monetary uses is any supply of gold optimal. When fiat paper is the monetary standard, in contrast, there are no non-monetary uses to render palatable an increase in its supply. For a discussion of this point, see Murray N. Rothbard, Toward a Reconstruction of Utility and Welfare Economics (1956, New York: Center for Libertarian Studies, 1977), pp. 915. Franz Cuhel’s contribution is in his Zur Lehre von den Bedürfnissen (Innsbruck, 1906), pp. 186ff. Böhm-Bawerk’s attempt to refute Cuhel can be found in Eugen von Böhm-Bawerk, Capital and Interest (South Holland, IL: Libertarian Press, 1959) III, 124136. The presentation of the Regression Theorem is in Ludwig von Mises, The Theory of Money and Credit (3rd ed., New Haven: Yale University Press, 1953), pp. 108123. Mises later answered critics of the theorem in his Human Action (New Haven: Yale University Press, 1949), pp. 405413. For a reply to more recent critics, Gilbert and Patinkin, see Rothbard, Toward a Reconstruction, p. 13, and Rothbard, Man, Economy, and State (Princeton: Van Nostrand, 1962), I, 231237, and esp. 448. Also see Rothbard, “The Austrian Theory of Money” in E. Dolan, ed., The Foundations of Modern Austrian Economics (Kansas City: Sheed and Ward, 1976), p. 170. For the most recent discussion of the Regression Theorem, including a reply to Moss’s critique of Mises, see James Rolph Edwards, The Economist of the Country: Ludwig von Mises in the History of Monetary Thought (New York: Carlton Press, 1985), pp. 4967. After World War II, Mayer was to continue his career of unprincipled opportunism. When the Russians occupied Vienna, they were understandably out to get Mayer, but he pulled out his Communist Party card and assured the Russians that he had long agitated on their behalf. When the Allies replaced the Russians, Mayer was ready with his Social Democrat party card and again escaped unscathed. Karl Popper remembers of Vienna in the 1920s that “It became impossible for anyone of Jewish origin to become a University teacher.” Fritz Machlup, a distinguished student and disciple of Mises, who was Jewish, was prevented from receiving his habilitation degree, the equivalent of the second half of a doctorate, which was needed to permit one to teach at the University of Vienna as a privatdozent. This contrasted to the receipt of their habilitations by the three other leading students of Mises, who were not Jewish, Hayek, Haberler and Morgenstern. Machlup recalls that the backing of one of the three full professors was needed to bring one’s habilitation to a vote. Mayer opposed him because of his all-consuming jealousy of Mises and of Mises’s proteges. Spann and Degenfeld-Schönburg refused to vote for Machlup out of anti-Semitic principle. Craver, “Emigration,” pp. 2324. Keynes’s review is in Economic Journal, Vol. XXIV, pp. 417419. His damaging admission is in his A Treatise on Money (London, 1930), I, 199, n. 2. Hayek’s account of this study characteristically misses the arrogance and gall, and treats the episode as merely a learning defect, concluding that “the world might have been saved much suffering if Lord Keynes’s German had been a little better.” The trouble with Keynes was hardly confined to his defective knowledge of German! Hayek, “Tribute to Ludwig von Mises,” in Mises, My Years, p. 219. Hayek, in Mises, My Years, pp. 219220. For three years before the outbreak of war, Mises, in his work for the Chamber, had investigated trade relations with Hungary, and so was highly qualified for the post. Mises, Notes, pp. 7576. Mises notes that the man reputed to be the best industrial manager in Austria, and an industrial consultant to a leading bank, the Bodenkreditanstalt, assured Otto Bauer in Mises’s presence that he really preferred serving “the people” to serving stockholders. Mises, Notes, p. 18. Also see ibid, pp. 1619, 77. The collapse of the Bodenkreditanstalt in 1931 was to precipitate the European banking crisis and Great Depression. Mises, Notes, pp. 7783. Mises writes that, given his reputation in money and banking, several big banks offered him a position on their boards. He adds that “until 1921 I always declined for the reason that they refused to give assurance that my advice would be followed: after 1921 I declined because I considered all banks insolvent and irretrievably lost. Events bore me out.” Ibid., p. 73. Mises, Notes, p. 112. In contrast to Lavoie, who sees the entrepreneurial uncertainty aspect of the argument as central from the time of Mises’s first article, Kirzner correctly sees a shift of focus with the more “static” equilibrium argument dominant at first. Unfortunately, Kirzner regards the later emphasis on uncertainty and change not so much as an elaboration of the original argument (which it was) but as an improvement, because of the shift from equilibrium to more dynamic considerations. 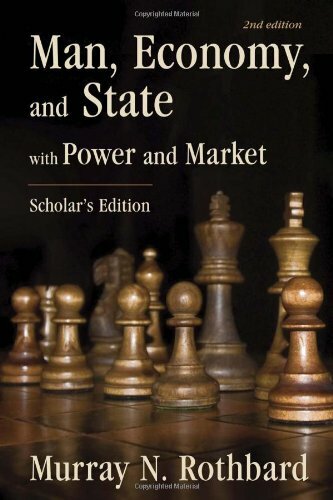 Thereby Kirzner misses the absolute centrality of the original “static” focus, which makes Mises’s impossibility of economic calculation (under given as well as under uncertain conditions) a far stronger argument against socialism than the later Hayekian or Kirznerian versions. Mises’s first article is in F.A. 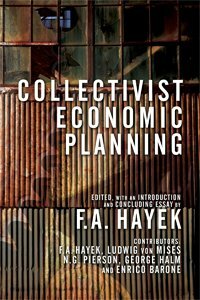 Hayek, ed., Collectivist Economic Planning (London: Routledge & Kegan Paul, 1935), and his latest views are in Human Action (New Haven: Yale University Press, 1949), pp. 694711. Lavoie’s views are in his Rivalry and Central Planning (Cambridge: Cambridge University Press, 1985). Kirzner’s are in Israel M. Kirzner, “The Economic Calculation Debate: Lessons for Austrians,” Review of Austrian Economics, 2 (1987), pp. 118. The best and most comprehensive work on the socialist calculation debate is still Trygve J.B. Hoff Economic Calculation in the Socialist Society (London William Hodge & Co., 1949). These conclusions are reinforced by Professor Joseph Salerno, who concludes from his studies that Hayek’s contributions, though seemingly more dynamic then Mises’s, are actually far more static in almost totally ignoring entrepreneurship. Hayek’s economic actors tend to be passive recipients of information instead of entrepreneurial appraisers and forecasters. Conversations with Professor Salerno. On the enormous impact of Mises’s Socialism on himself and his generation, see Hayek, in Mises, My Life, pp. 220221. Mises’s most important business cycle writings of the 1920s and early 1930s are translated and published in Ludwig von Mises, On the Manipulation of Money and Credit (Dobbs Fern; NY: Free Market Books, 1978). See in particular, Ludwig von Mises, Socialism: an Economic and Sociological Analysis (New Haven: Yale University Press, 1951), pp. 289313. I am indebted to Professor Joseph Salerno for calling my attention to these passages. F.A. Hayek, “Foreword,” Ludwig von Mises, Socialism (Indianapolis: Liberty Press/Liberty Classics, 1981), pp. xxiiixxiv. I am indebted to Professor Hans-Hermann Hoppe for calling my attention to this passage. Hayek’s tribute to Mises in 1956 is in Mises, My Years, pp. 217223, and his discussion of Socialism in ibid., pp. 220221. It is curious that Hayek does not even mention, much less try to rebut, Mises’s full presentation of the rationalist case in Socialism (1951), Part III, Chapter II, “Society,” pp. 289313 (seen. 32 supra). The two Mises brothers seem to have been estranged from an early age. They formally reconciled after Ludwig’s marriage in 1938, but were never close. One time, when Richard’s book Positivism was published, I asked Ludwig von Mises what he thought of his brother’s book. Mises drew himself up into an uncharacteristically stern pose, eyes flashing: “I disagreed with that book,” he stated in no uncertain terms, “from the first sentence until the last.” It was not a tone that invited further inquiry. Ludwig von Mises, Epistemological Problems of Economics (1960, New York: New York University Press, 1978), p. xiii. Mises, My Years, p. 208. On cafés and private seminars in the intellectual life of Vienna in the period, see the perceptive account in Craver, “Emigration,” pp.1314. Mises, My Years, p. 207. On Mises’s private seminar, see Mises, My Years, pp. 201211; Mises, Notes, pp. 97100; Craver, “Emigration,” pp. 1318. Morgenstern soon took the Institute onto decidedly non-Misesian paths, sponsoring econometric studies under the influence of his friend Karl Menger, including work by Menger students Gerhard Tintner and Abraham Wald. Craver, “Emigration,” pp. 1920. Part of this story is told in Mises, My Years, p. 205. 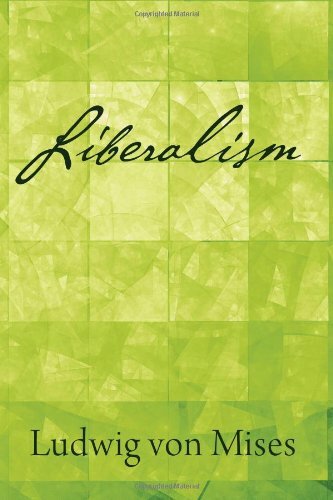 Unfortunately, the better known edition of Robbins’s book was the second, in 1935, which was already substantially less Misesian and more neo-classical than the first edition. The apostasy was so fervent that at least two of these men took the unusual step of openly repudiating their own Mises-influenced work. Lionel Robbins repeatedly denounced his own Great Depression and Hicks repudiated his Austrian-oriented Theory of Wages. The only anti-Keynesian remaining besides Hayek, was former Cannan student W.H. Hutt, whose brilliant quasi-Austrian refutations of Keynes passed unnoticed, since Hutt taught and published in South Africa, not exactly the center of economic thought and argument. On the Geneva years, see Mises, My Years, pp. 3149, and Mises, Notes, pp. 136138. A decade or so later, after Mises had launched his graduate seminar at New York University, some of us, during a post-seminar snack at Childs’ Restaurant, reacted to some of the marvelous anecdotes Mises told us about the old days in Vienna by suggesting that he write his autobiography. Mises drew himself up, in a rare moment of severity, and declared; “Please! I am not yet old enough to write my autobiography.” It was a tone that brooked no further discussion. But since Mises was then in his seventies  a very advanced age to the rest of us  and since this is a country where twerps of twenty are publishing their “autobiographies,” we naturally though silently, disagreed with the master. Hazlitt relates the story of his first personal contact with Mises: “One night at home, I received a telephone call, and the voice on the other end of the wire said, ‘This is Mises speaking.’ As I later told some of my friends, it was almost as if somebody had said, ‘This is John Stuart Mill speaking. '” Mises, My Years, p. 58. These included J. Howard Pew of Sun Oil Company, the major financial contributor to laissez-faire causes; B.E. Hutchinson, vice-chairman of Chrysler; and Robert Welch, of Welch Candy Corp., who went on in the late 1950s to found the John Birch Society. Harold W. Luhnow was head of the William Volker Company a furniture distributing house in Kansas City, and of the William Volker Fund, which played a vitally important but still unsung role in supporting libertarian and conservative scholarship from the late 1940s until the early 1960s. For a while, Mises continued to teach his Socialism course as well as conduct his seminar. After a few years, the seminar was his only course at NYU. American academia treated F.A. Hayek, who was still a Misesian intellectually and politically, only slightly less shabbily than Mises. The Volker Fund tried to place Hayek at an American university, and was finally able to find a wholly subsidized post for Hayek at the University of Chicago. The Chicago economics department, however, rejected Hayek, but he was accepted at the scholarly but offbeat graduate Committee on Social Thought, where he had only a few, even though first-rate, graduate students. It was because the University of Chicago refused to pay Hayek any pension that he was forced to return to German and Austrian universities after reaching retirement age. Mises, My Years, p. 59. As a European professor, Mises never fully adapted to the grading system in the U.S. At first, he gave every student an A. When told he could not do that, he alternatively gave students As and Bs depending on their alphabetical placement. When told he could not do that, he settled on a policy of giving an A to any student who wrote a paper for the course, regardless of its quality and a B to everyone else. When the Volker Fund collapsed in 1962, Lawrence Fertig, with a consortium of other businessmen and foundations, kept the seminar going until Mises retired in 1969. I have been so informed by my German-American colleague, Professor Hans-Hermann Hoppe of the economics department of the University of Nevada, Las Vegas, a knowledgeable and creative praxeologist and Misesian. A particularly valuable assessment of the importance of publishing an English version of Nationalökonomie was sent to Davidson in January 1945 by Dr. Benjamin M. Anderson, monetary economist, economic historian, and friend of Mises, and formerly economist for the Chase National Bank. “Nationalokonamie is von Mises’s book on general economic principles. It is the central trunk, so to speak, of which the subject discussed in his book on money and his book on socialism are merely the branches. It is the fundamental theory of which the conclusions in the books on socialism and money are the corollaries.” Mises, My Years, p. 103. Thus, Human Action was able to surmount a vicious review in the New York Sunday Times Book Review by Harvard’s John Kenneth Galbraith, who chastized the Yale University Press for having the temerity to publish the book. “Profit and Loss” was written as a paper for the meeting of the Mont Pelerin Society held in Beauvallon, France, in September 1951. The essay was published as a booklet the same year by Libertarian Press, and is now available as a chapter in the selected essays of Mises, in Ludwig von Mises, Planning for Freedom (4th ed., South Holland, IL: Libertarian Press, 1980), pp. 108150. Mises, My Years, p. 106. Unfortunately, Theory and History has been grievously neglected by much of the post-1974 Austrian School revival. See Murray N. Rothbard, “Preface,” Ludwig von Mises, Theory and History: An Interpretation of Social and Economic Evolution (2nd ed., Auburn University, AL: Ludwig von Mises Institute, 1985). The grisly story of the botched  seemingly deliberately  second edition of Human Action in 1963 can be found in Mises, My Years, pp. 106111. The Yale University Press settled Mises’s lawsuit on this horrendous printing job out of court, giving in to virtually all his demands. The rights to publish were transferred to Henry Regnery & Co., which published the third edition of Human Action in 1966, but the Yale University Press continues to take its cut to this day. The worst aspect of the affair was the torment inflicted on this 82-year old intellectual giant, distressed at the mangling of his life’s masterwork. All three works were published by D. Van Nostrand, whose chairman was a Mises sympathizer, and who had a publishing arrangement with the Volker Fund. Grundprobleme was translated by George Reisman, and Liberalismus by Ralph Raico, both of whom started attending Mises’s seminar while still in high school in 1953. On Raico and Reisman, see Mises, My Years, pp. 136137. Mises, Planning for Freedom, p. 219. See, for example, Craver, “Emigration,” p. 5; and Mises, My Years, p. 222. Mises, My Years, p. 211. William E. Rappard, “On Reading von Mises,” in M. Sennholz, ed., On Freedom and Free Enterprise: Essays in Honor of Ludwig von Mises (Princeton: D. Van Nostrand, 1956), p. 17. Ralph Raico, “The Legacy of Ludwig von Mises,” The Libertarian Review (September 1981), p. 19. The article was included in a Mises Centennial Celebration issue of the magazine. An earlier version was published in The Alternative, February 1975. The text is available here.